City Airport is consulting on the introduction of new and quieter planes and lower noise limits. This is quite a technical consultation. Essentially, it is a proposal to more accurately measure the noise of the planes. 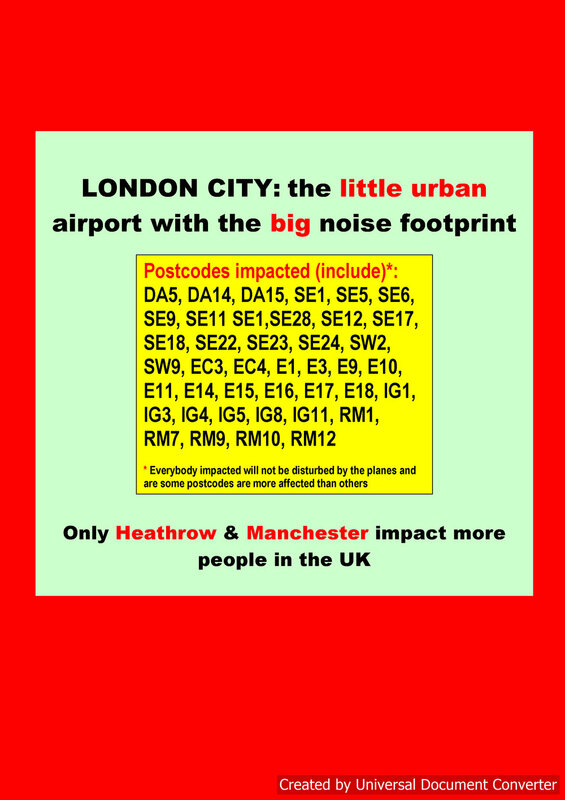 You can see the details at https://www.londoncityairport.com/aboutandcorporate/page/aircraft-noise-categorisation-scheme. The consultation runs from 2nd June to 14th July. Responses can be emailed to ANCS@londoncityairport.com . The new system is due to be fully operational in November 2019. Although by then bigger planes will be using the airport, they should be quieter than the jet planes currently in operation and the total number of aircraft permitted to use the airport will be cut from 120,000 to 111,000.